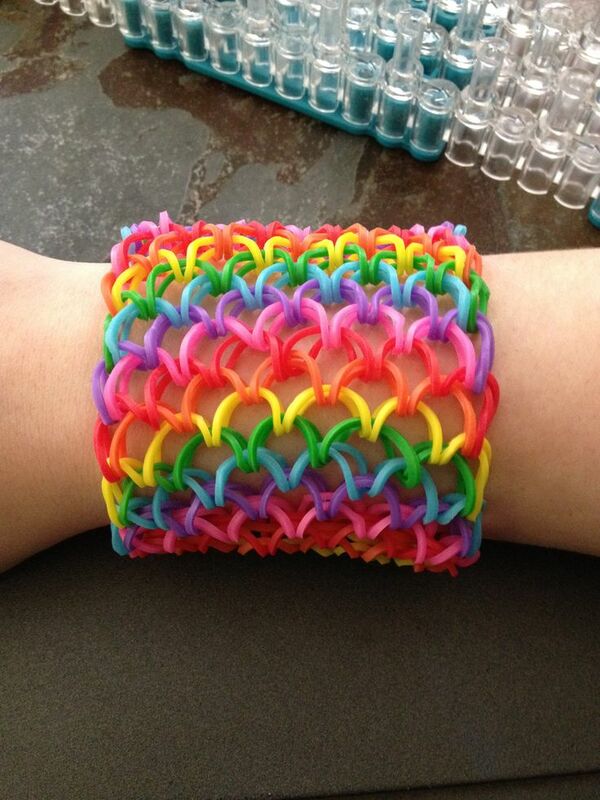 The Rainbow Loom is a plastic pegboard measuring 2 inches (51 mm) by 8 inches (200 mm). 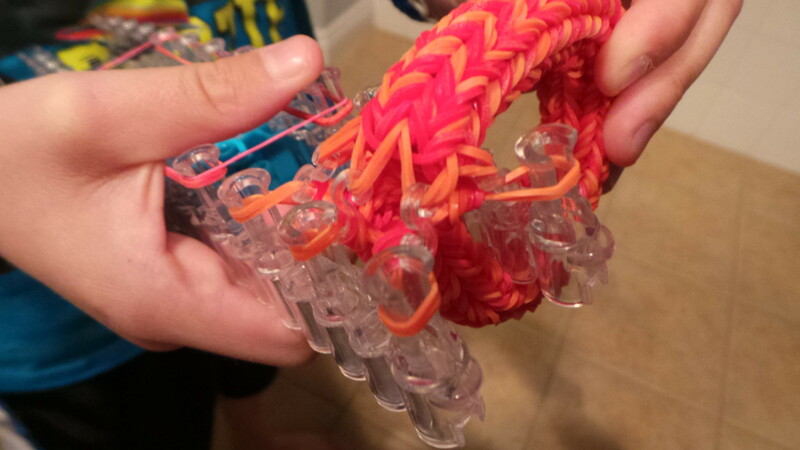 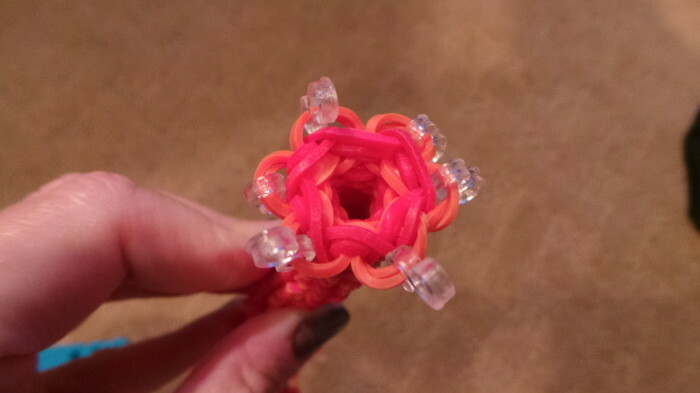 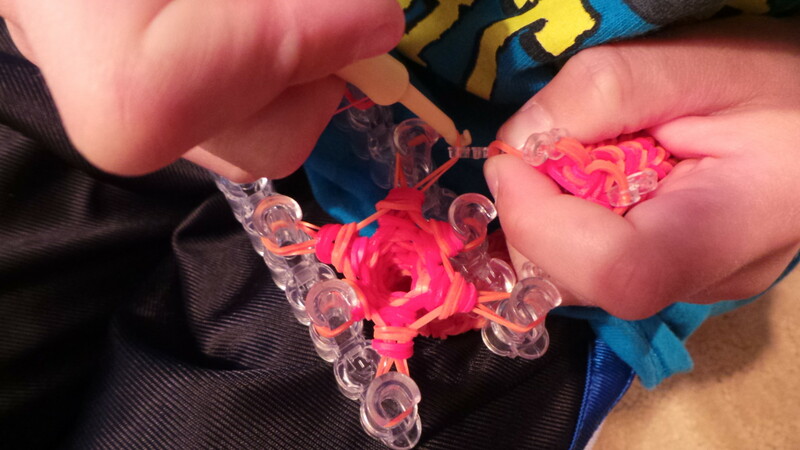 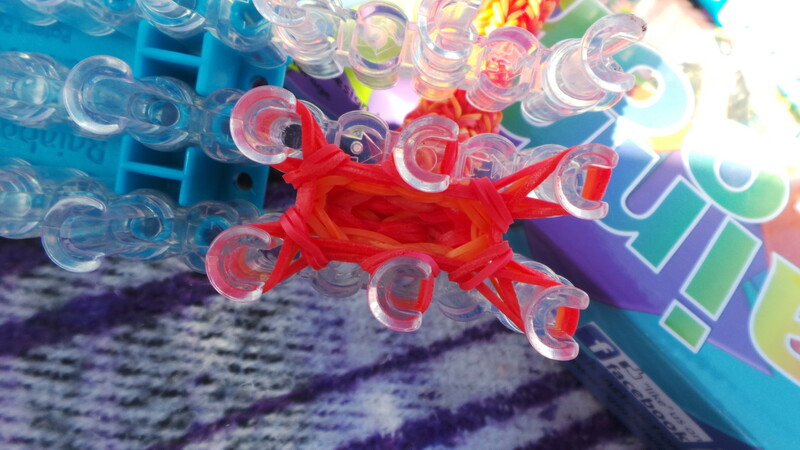 It has push pin-type pegs over which small, colored rubber bands are looped and pulled by a rainbow loom crochet hook. 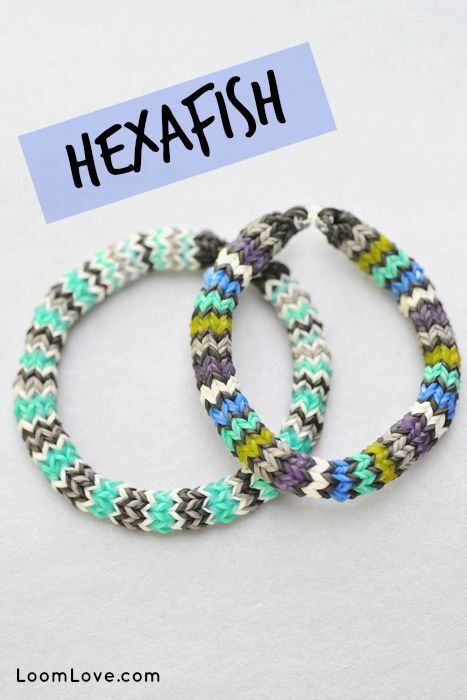 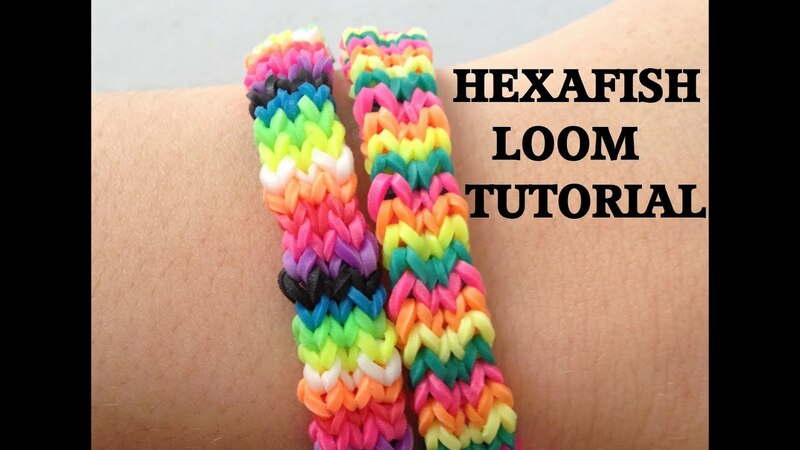 The resulting looped knots, known as Brunnian links, can be assembled on the loom into bracelets and other shapes. 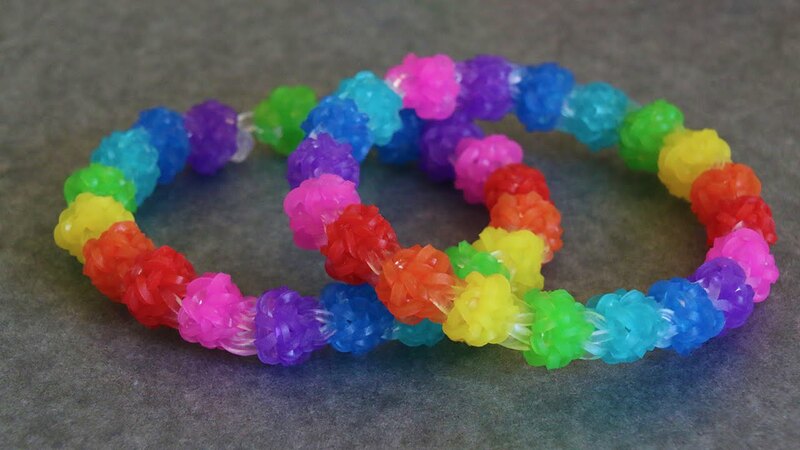 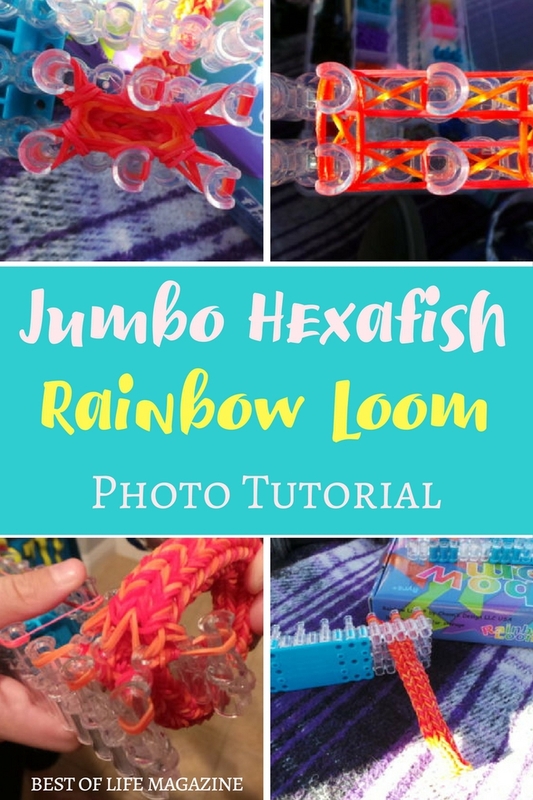 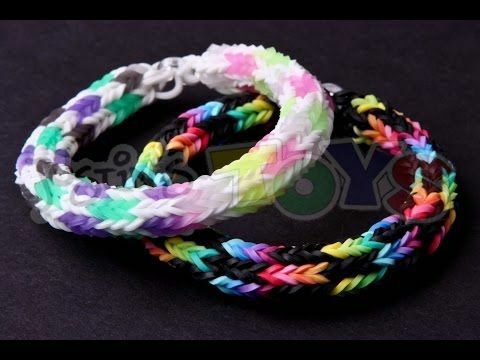 The Rainbow Loom kit includes the loom (the pegboard), a rainbow loom hook, 25 special C-shaped clips to connect both ends of the bracelet, and 600+ small rubber bands in assorted colors. 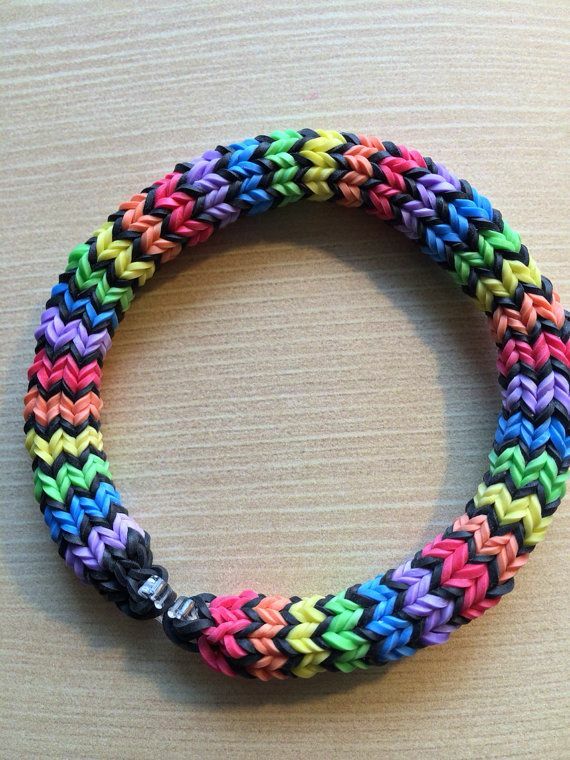 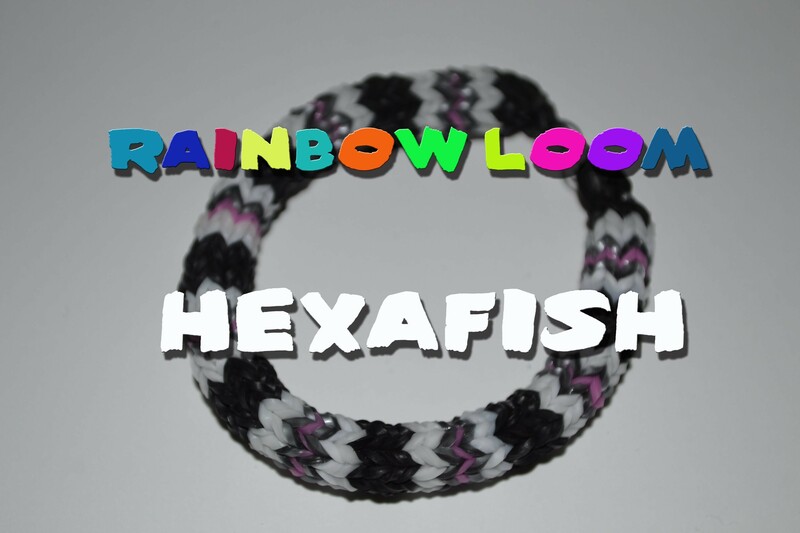 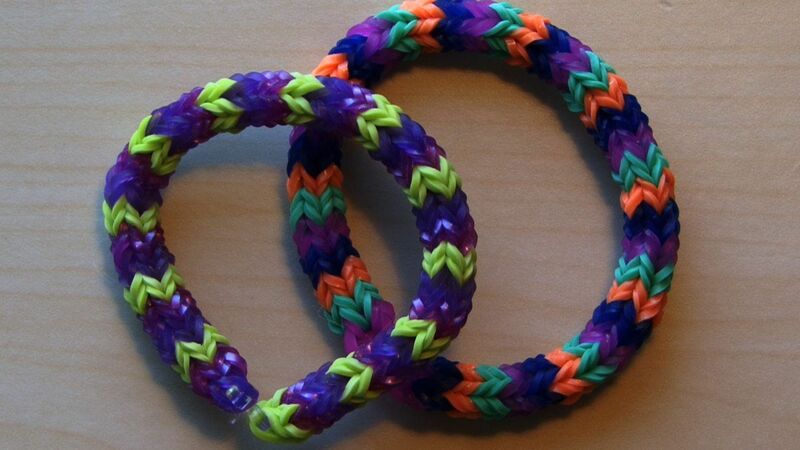 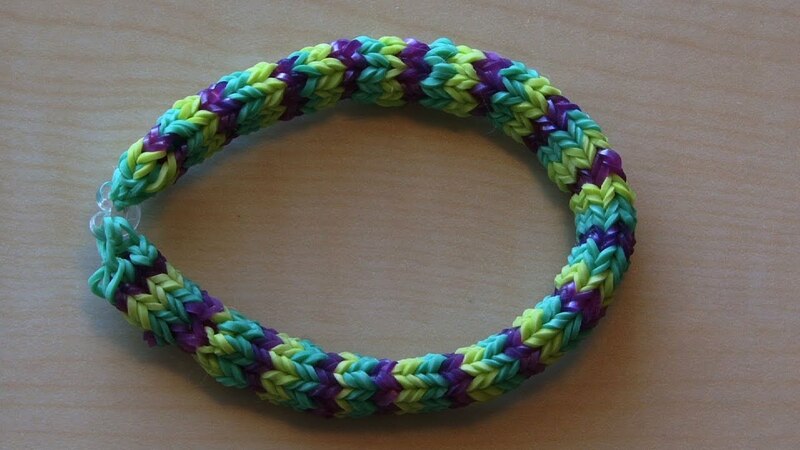 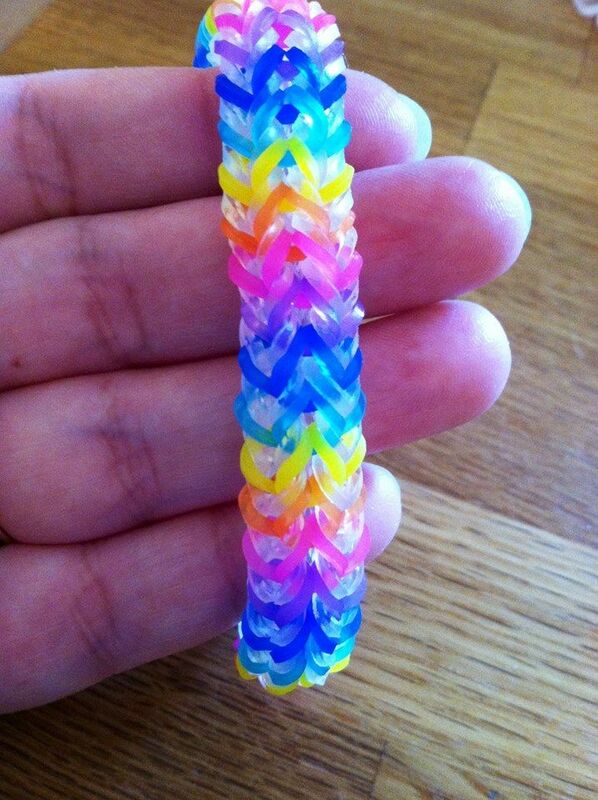 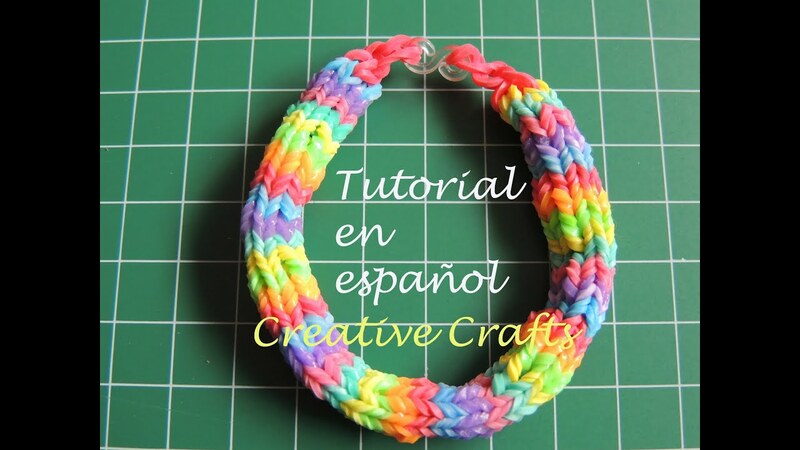 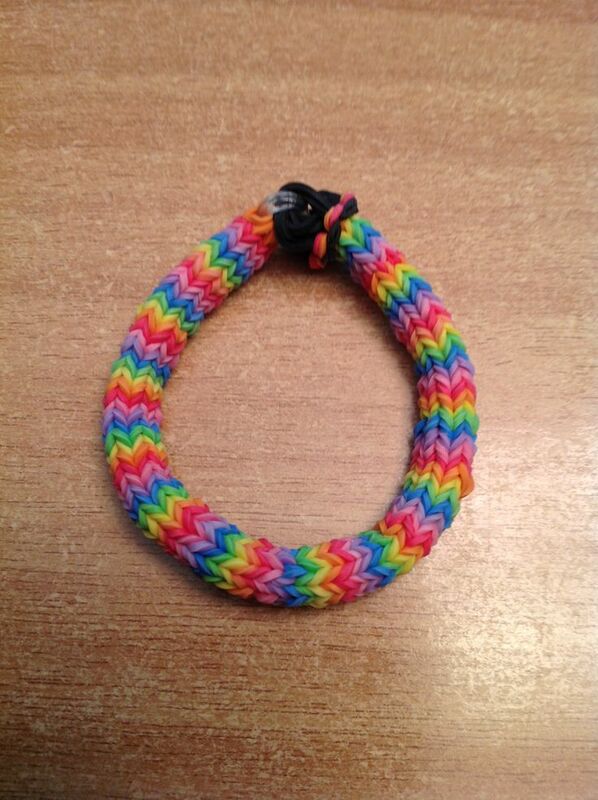 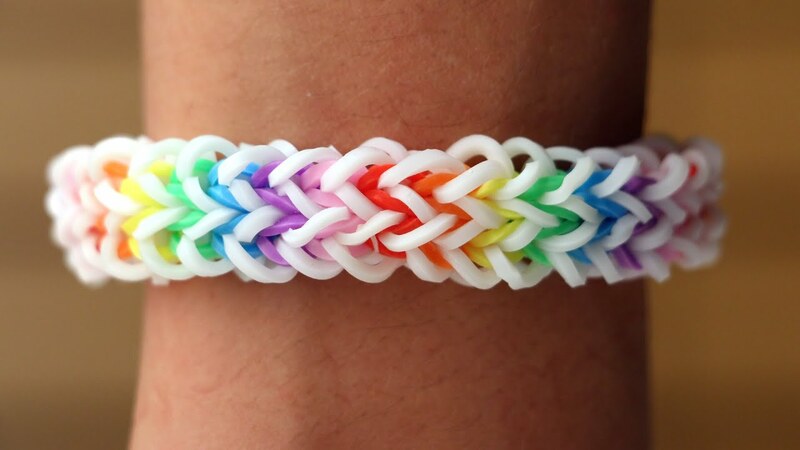 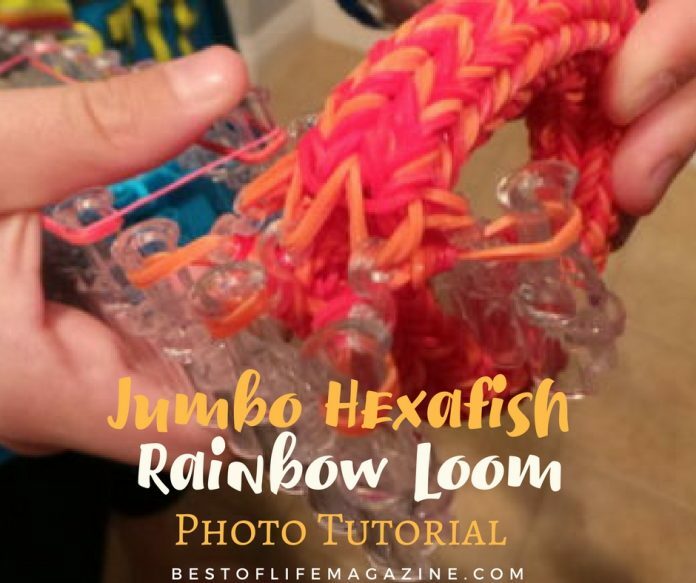 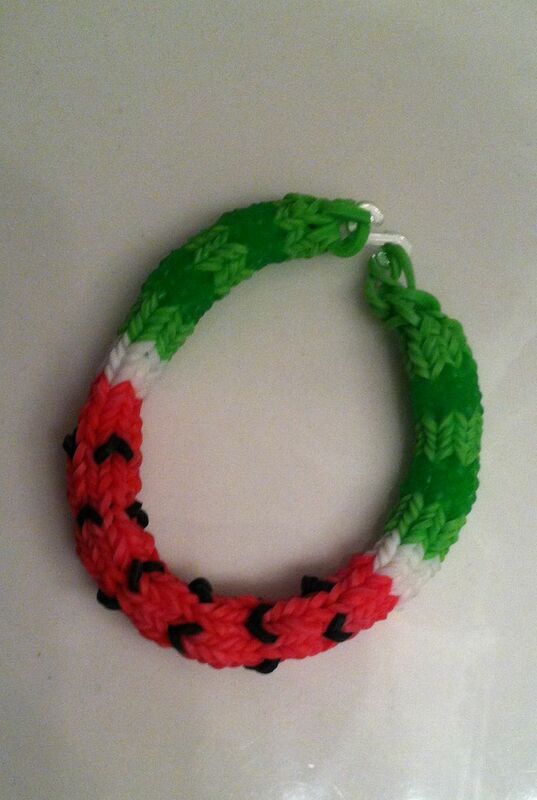 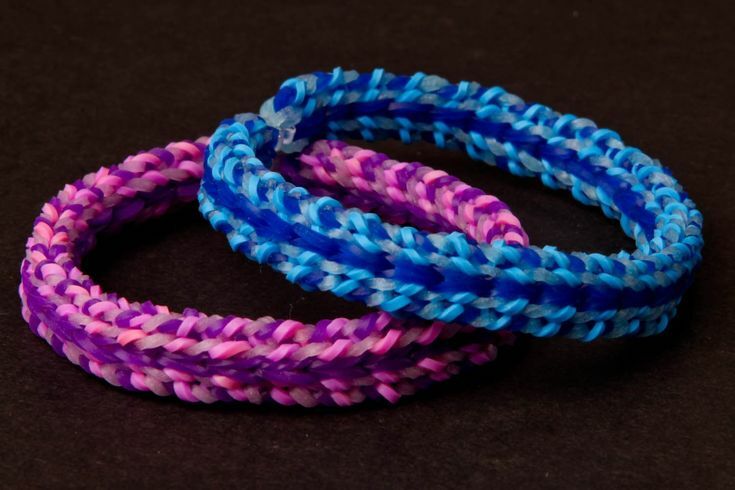 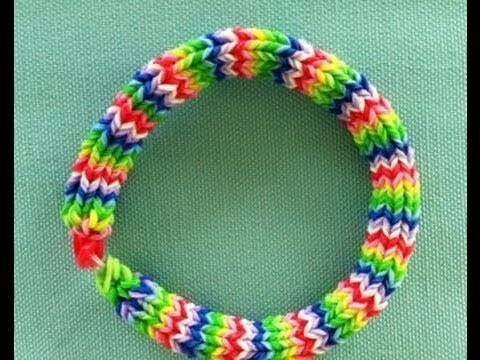 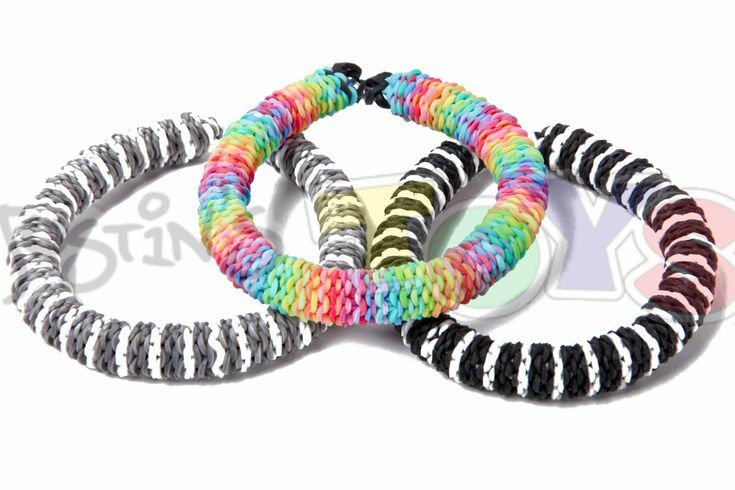 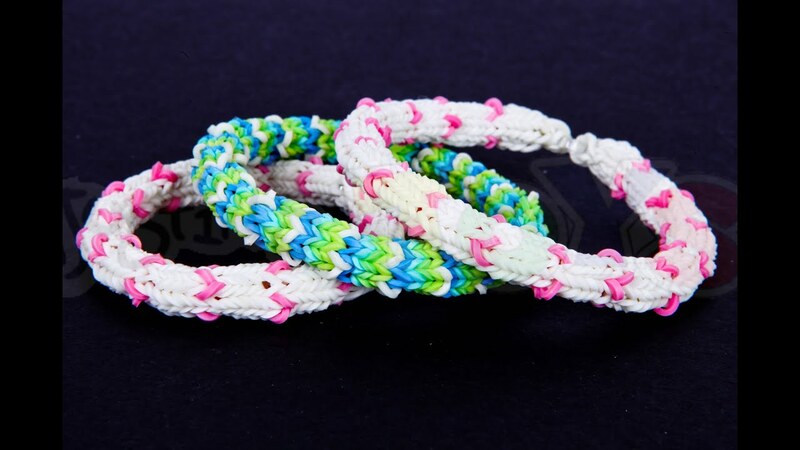 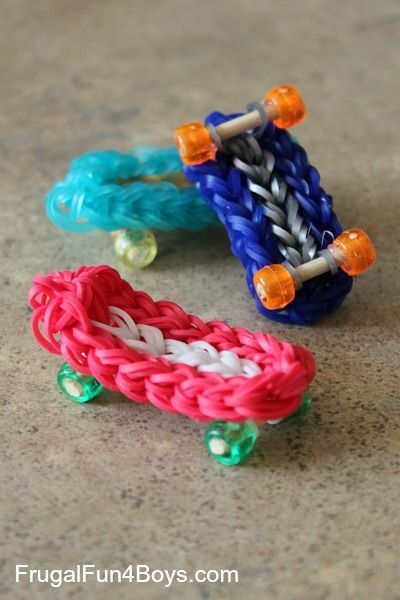 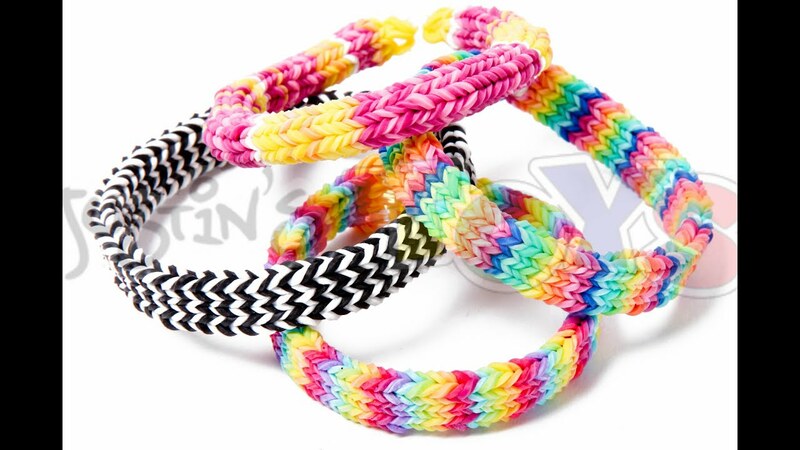 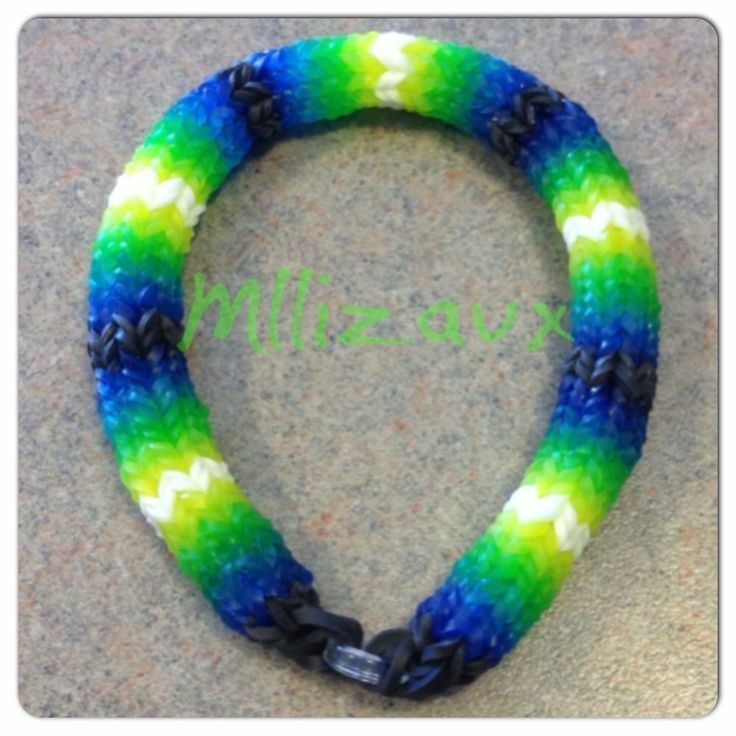 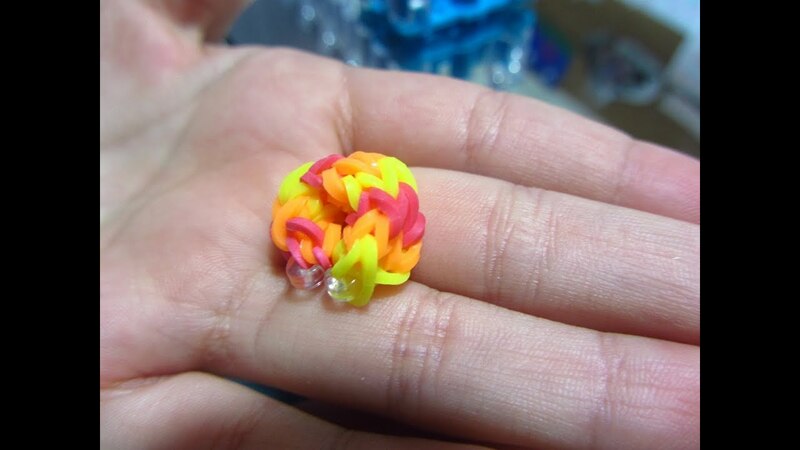 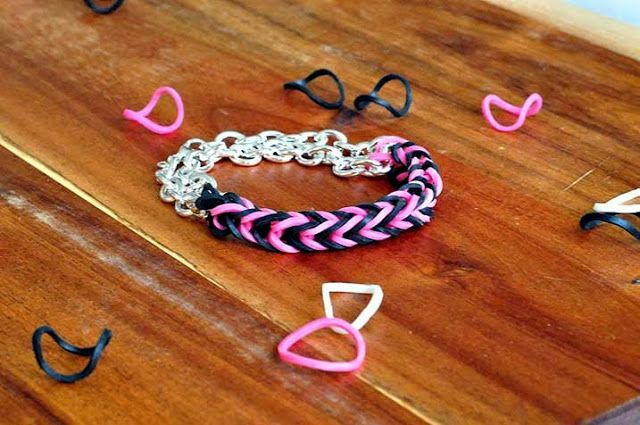 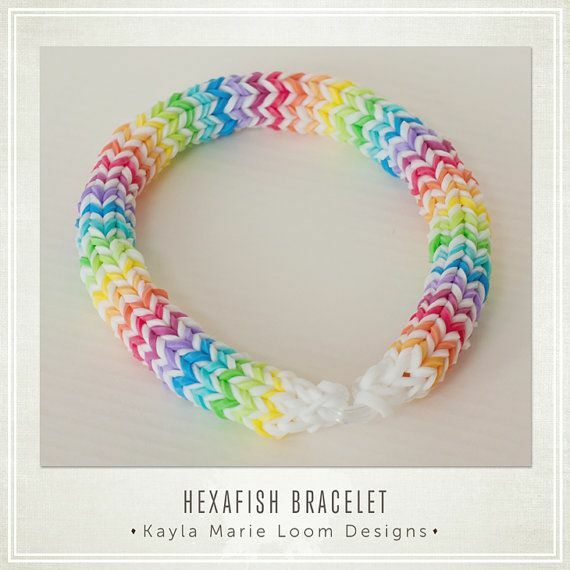 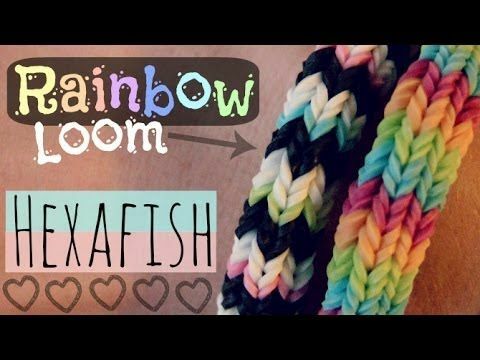 20 Beautiful Rainbow Loom Bracelets Loom Love.